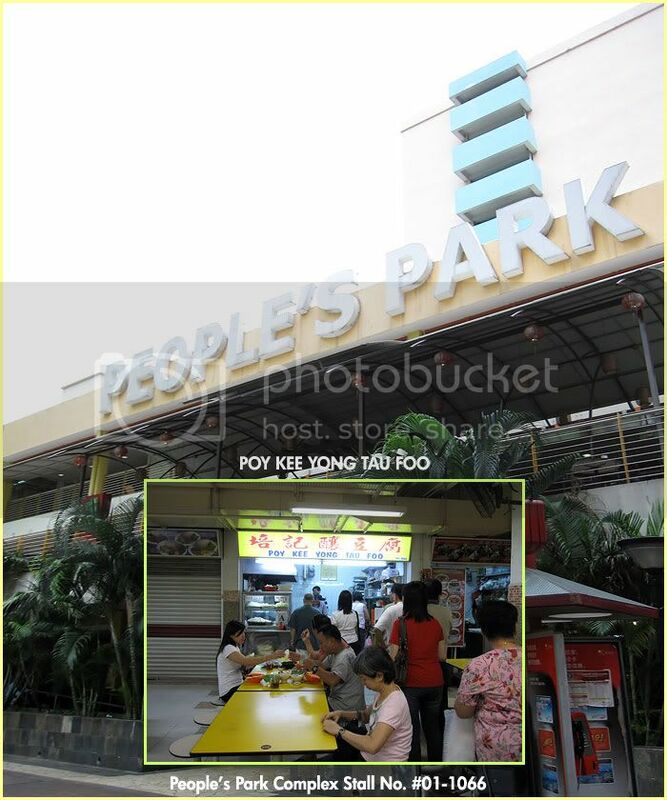 People’s Park Food Centre houses three very popular yong tau foo stalls, all very well-known. They sell the traditional kind of yong tau foo, not the fancy version where you pick from a whole buffet of factory-made stuff. 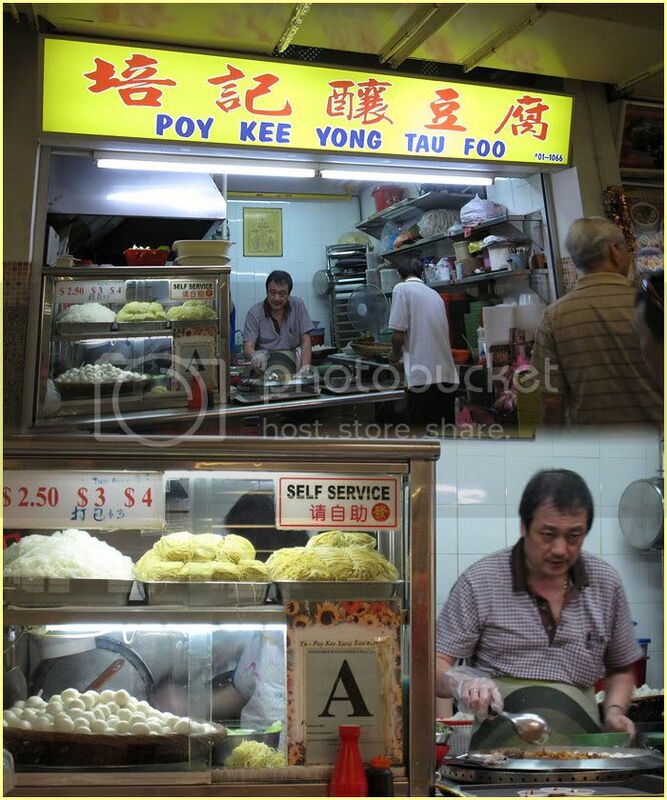 Poy Kee is among the top three in the food centre. Probably due to the stall's location ... it's not as visible compared to the other two. But the long long Q will tell you where they are located once you are in the food center. fried beancurd with fish paste, and fried beancurd skin fish roll. 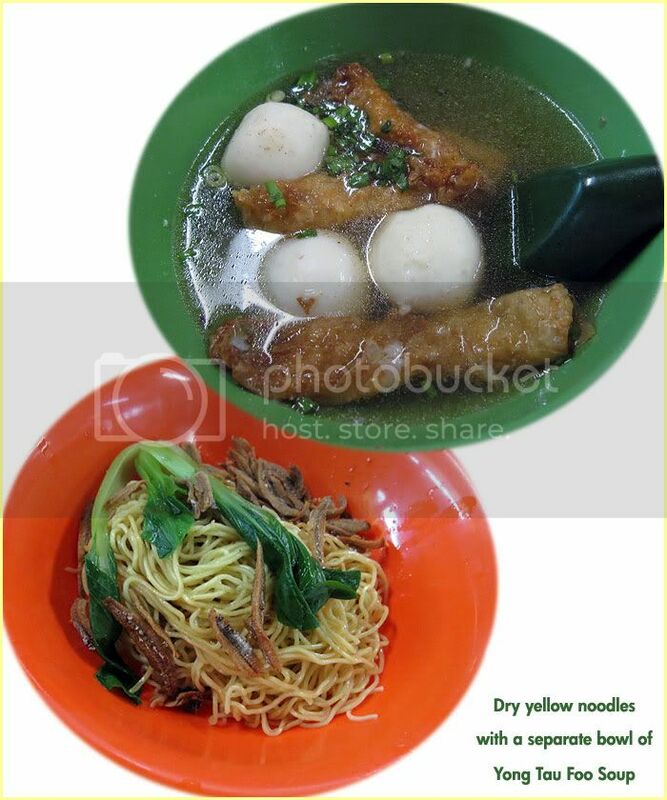 You can choose to eat it with noodles, kway teow or mee hoon or just the yong tau foo soup alone. The kway teow here is smooth ... noodles come served with fried anchovies crispy and fragrant ! Lucky thing there is no trace of MSG ... so you won't feel thirty after eating it. Be prepared to Q here too ..but at least the Q is shorter. 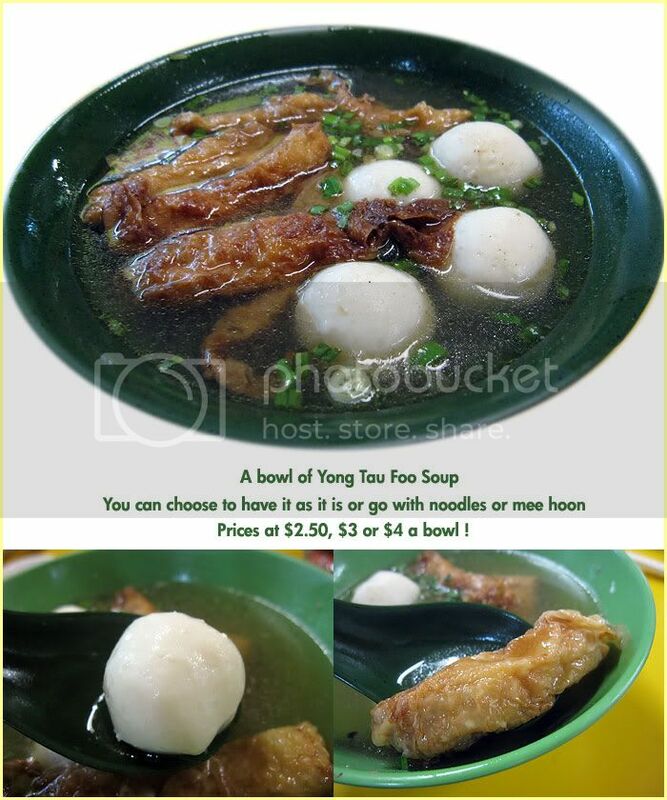 start business at 1pm and they do not served the yong tau foo soup with noodles or rice. Q at Poy Kee !